Popolna podlaga za rastlinske akvarije. 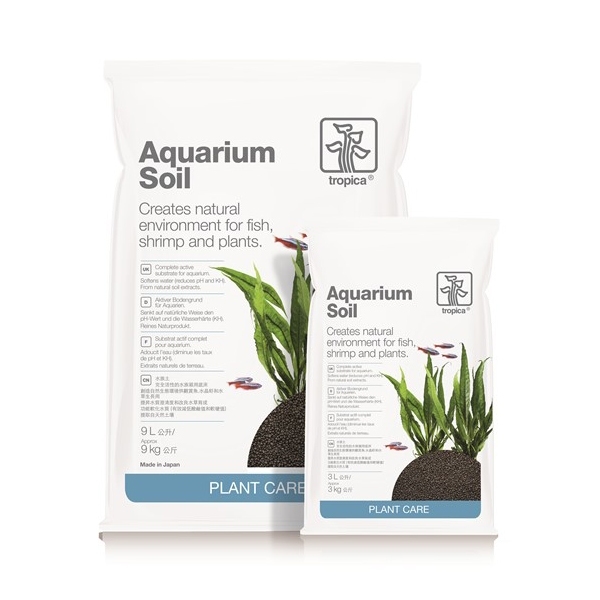 How do I calculate the quantity of Soil or Soil Powder needed for my tank? Measure your tank’s length and width in cm, for example 90 x 60 cm. Consider the thickness of the bottom layer you want, e.g. 8 cm. Make the layer thicker towards the rear wall for a great visual effect! The calculation to do is length x width x layer divided by 1000. In our example, 90 x 60 x 8/1000 = 43,2 L Soil/Soil Powder needed.